IABSE Future of Design NYC is an annual symposium to energize and provoke discussion in our community encompassing the architecture, engineering, design, and construction industry. The symposium is interactive and broad in its reach, aiming to maximize exchange of innovative ideas through a forum for education and dialogue. Future of Design NYC’s theme in 2019 is For the People. As a response to the growing desire for design-based action to improve life in the public and social sphere, program sessions examine the collective role of built environment professionals in today’s social, environmental, economic, and political climate. Conversations also look inward at to understand the sustainability and equitability of the industry’s work, and how to empower future engineers to take on a greater voice in built environment initiatives. The program features presentations and panels that provide critical discussion of local and international projects, as well as debate on approaches that underpin structural engineering and architectural design. Emerging and established voices involved in the creation of the future built environment will provide both technical and qualitative insights on different facets of the theme. Symposium attendees will also participate in a workshop to explore potential roles in future public policy, adaptive reuse, and shaping the incorporation of technology in the architecture, engineering, and construction industry. Early Bird registration closes at 5:00 PM on April 30. PDHs are expected to be provided. The International Association for Bridge and Structural Engineering (IABSE) is a global association comprising members in 100 countries and counting 51 National Groups worldwide. It was founded in 1929 and has its seat in Zurich, Switzerland. IABSE engages all aspects of structural engineering: the science and art of planning, design, construction, operation, monitoring and inspection, maintenance, rehabilitation and preservation, demolition and dismantling of structures, taking into consideration technical, economic, environmental, aesthetic and social aspects of design. The Civil Engineering community is advancing the use of LIDAR and structure-from-motion (SFM) 3D topographic models for understanding the geometry of complex structural and earth deformations and has greatly benefited from these tools. For civil engineering deformation research, LIDAR & SFM are particularly useful for characterizing the dimensions of failures and for monitoring subtle deformation through time. This presentation will present the two technologies and an evaluation of the accuracy, bias, and dispersion of 3D data under controlled experimental conditions. Examples are given from recent field studies using LIDAR and SFM visualization and analysis from some recent extreme-events investigated by the National Science Foundation-funded GEER association. Ultra-high resolution imagery of complex surfaces allows the exploration and visualization of damage in orientations and scales not previously possible. Detailed understanding of the surface morphology allows for better numerical modeling of potential failure modes, deformation patterns, and morphologies. Finally, LIDAR and SFM technology provides for the permanent archiving of 3-D terrain. 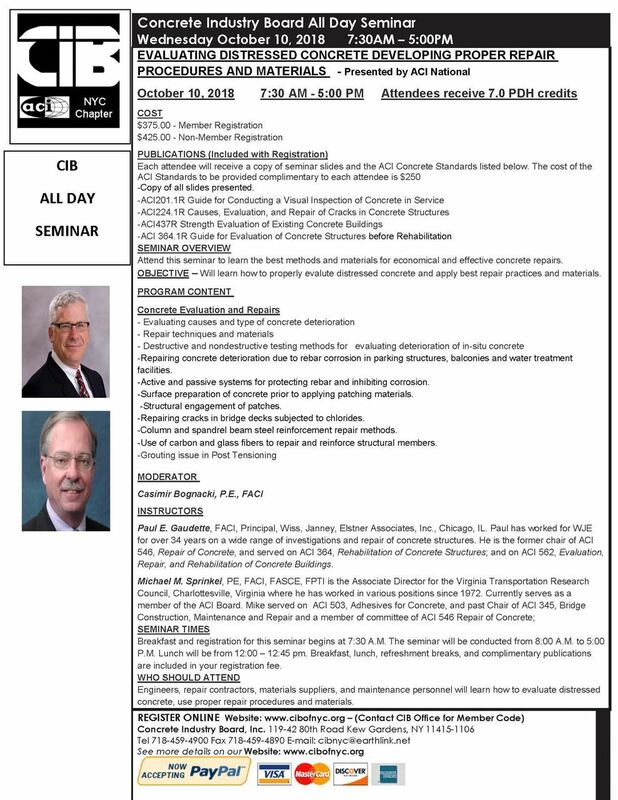 CIB Educational Seminar: How do we achieve 100 year service life with concrete structures? Speaker: Tracy D. Marcotte, PhD, PE, FACI expert and licensed professional engineer in metallurgical and materials engineering. Dr. Marcotte is a professional engineer, previous chair of ACI 365 – Service Life Prediction, a member of multiple ACI committees related to corrosion, durability, sustainability, service life, and repair, serves on ACI’s Technical Activities Committee, and was appointed to ACI’s Board of Direction in 2017. Tracy graduated from Queen’s University in Kingston and the University of Waterloo, Canada, with degrees in Materials Science & Metallurgical Engineering, focused on steel corrosion in concrete. She has committed her professional life to developing standards and improving planning guides for the effective management of structures in service, and firmly believes this work will increase the quality of life within developing and developed nations. Internationally, she is a United States delegate working with other delegates from 94 countries to develop international standards for concrete repair within the International Organization for Standardization (ISO TC 71). She actively promotes forensics, repair, and maintenance of structures as highly satisfying and worthwhile profession for engineers, architects, and historic preservationists. 1. Understanding of current practices and standards for service life prediction, and its implementation. 2. Improved vocabulary and definition of terms for discussing service life with clients and owners. 3. Understanding of historical construction changes that can affect service life. 4. Discerning maintenance and repair strategies over the life cycle of a structure from birth to dismantlement. Reservations not cancelled by 2/8/19 will be billed. The Northwest Concrete Masonry Association is sponsoring a three-part webinar series on reinforced masonry design. It will focus on the requirements of the 2015 IBC and 2013 TMS 402/ACI 530 codes. Both working stress and strength design of reinforced concrete masonry will be covered. Learn how to use and interpret the building code through masonry building element design examples. Participants can earn continuing education credit. This is a practical design webinar for practicing engineers. Each session will run from 4:00-6:30 p.m. Pacific Time. The Scientific Programme will include Plenary and Concurrent Sessions over three days. Panel discussions and Poster Sessions will also be incorporated into the programme. Contributors can also suggest topic presentation methods such as paper, poster, panel discussion, etc. Presented by: Jim DeStefano, PE, AIA, F.SEI, DeStefano & Chamberlain Inc. There is something inherently spectacular about the look and feel of exposed timber. It’s more than a structural system. It’s a natural at creating architectural drama—and is often the most practical, cost-effective, and sustainable choice for achieving that objective. This entertaining and informative workshop will demonstrate how heavy timber and mass timber systems can be used to great effect in a variety of timber-frame applications. Emphasizing the need for form to follow function, it will cover traditional and contemporary design approaches, combining design topics such as species, finish, structural system selection, truss design, and connection methods with practical subjects such as construction type, fire performance, hurricane resistance, cost and constructability. Attendees qualify for 3 AIA/CES LUs (HSW), 3 PDH credits or 0.3 ICC credits. The 2018 NCSEA Structural Engineering Summit Committee is seeking 60 minute presentations that deliver pertinent and useful information that is specific to the practicing structural engineer. The Summit will feature education specific to the practicing structural engineer, in both technical and non-technical tracks. Abstracts are due March 30, 3018. Form properties may not be compatible with all browsers. Please download the form to complete. 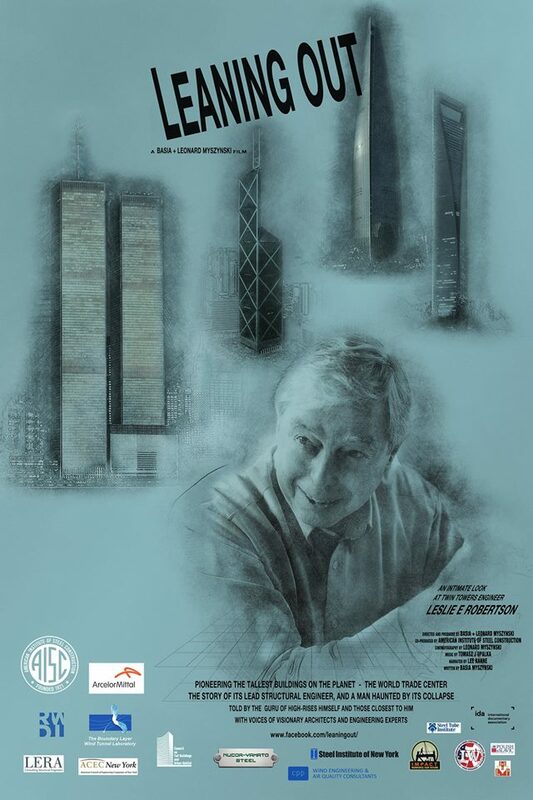 LERA is proud to sponsor a new documentary titled "Leaning Out: An Intimate Look at Twin Towers Engineer Leslie E. Robertson," about the life and work of one of the most influential figures in the history of structural engineering. Produced by Basia and Leonard Myszynski of sOlar eye communications, the documentary has been chosen as the opening film for the 10th annual Architecture & Design Film Festival in New York City from October 16th to 21st. The film will also be screened as a live webinar during AISC's SteelDay 2018 on September 26th. A retired partner of the firm, Dr. Leslie E. Robertsonspent his six-decade engineering career transforming urban and rural landscapes through innovative design. Among a plethora of renowned projects, he led the structural design of the World Trade Center (New York, NY); the U.S. Steel Tower (Pittsburgh, PA); the Bank of China Tower (Hong Kong); Puerta de Europa (Madrid, Spain); Shanghai World Financial Center (Shanghai, China); Suzhou Museum (Suzhou, China); Meyerson Symphony Center (Dallas, TX); and the Miho Museum and Bridge (Kyoto, Japan). In addition, he participated in the structural design of Nakheel Tall Tower (1,000 m; Dubai, UAE), Merdeka PNB118 (630 m; Kuala Lumpur, Malaysia), the Suzhou Center landscaped pedestrian bridges (Suzhou, China), Miho Chapel (Kyoto, Japan) and Lotte World Tower (555 m; Seoul, South Korea). 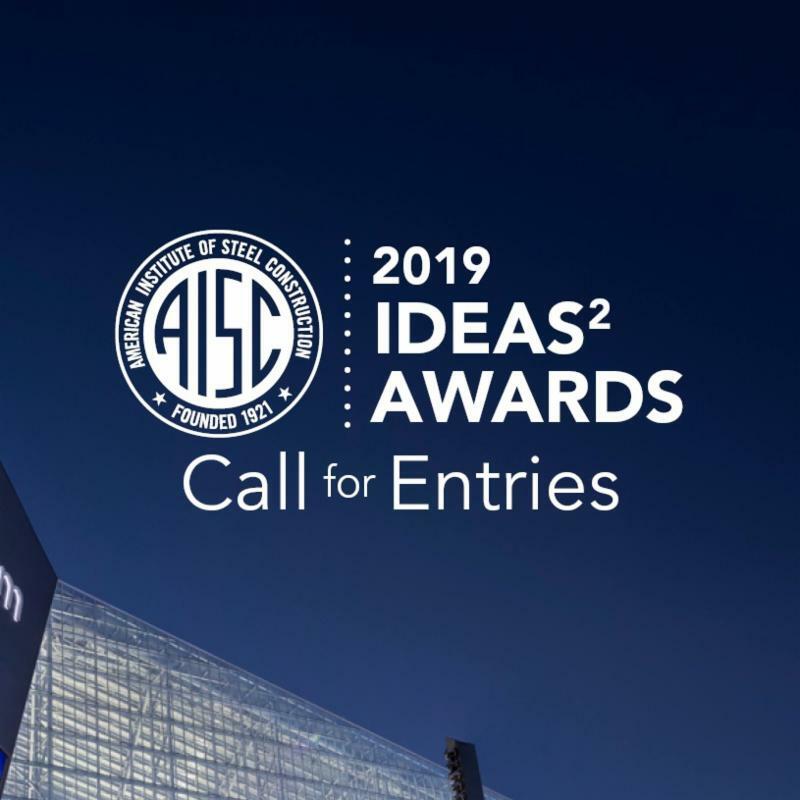 Show the great work your firm does in steel through entering the 2019 Innovative Design in Engineering and Architecture with Structural Steel (IDEAS2) Awards competition! Architectural and engineering firms, structural steel companies, general contractors and owners are encouraged to enter steel-framed building projects in the competition. Conducted annually by the American Institute of Steel Construction (AISC), this awards program recognizes excellence and innovation in the use of structural steel on building projects across the country. The award is the highest honor bestowed on building projects by the U.S. structural steel industry. "The IDEAS2 Awards is how we recognize the innovative and progressive ways that you use the versatility, utility and beauty of structural steel in your projects," said Charles J. Carter, SE, PE, PhD, AISC's president. "You amaze us every year and we look forward to another year of your incredible work." Winning projects receive their awards at the project sites during special presentations to which the project team and local dignitaries will be invited. The winning projects will also be recognized at NASCC: The Steel Conference in St. Louis, April 3-5, 2019. The IDEAS2 jury represents a cross-section of the structural steel design, fabrication and construction industries. Including a diverse panel helps the jury highlight steel solutions to the challenges designers and constructors face in all building types and sizes. Entries will be judged in three categories according to constructed value: Less than $15 million; $15 million to $75 million; and Greater than $75 million. There is also a category for sculptures, art installations and non-building structures.